Baby Shark Do Do Do Do Do Do …. 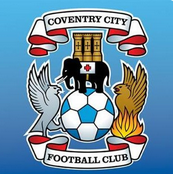 Discussion in 'Coventry City General Chat' started by rob9872, Sep 10, 2018. Would love to hear this irritating song on the terraces - Ricky Evans came onto it for the Darts at the weekend and it's simply one of those annoying tunes that I can't get out of my head, so only fair you should all suffer. It's been on a constant loop in my head for about 3 weeks. I'd suggest that anyone who wants to keep their sanity should not look this song up! wingy and rob9872 like this. 3 weeks!? Try 3 years! Never heard of it. Will have to look it up. Just listened to 11.37 seconds of it and am now off to top myself. GaryMabbuttsLeftKnee, pipkin73 and robbiekeane like this. I thought people needed to move on from ex players...or did you just mean please move on from the ones in the Premier League because it doesn’t fit in with my agenda? Adge in snipe at product of youth system shock! Plenty of irritating tunes about.. If anyone sings the shark song today I'm going to start singing a Clash song and change the words to 'Should I shoot, or should I stab now'. But ironically thought he was one of the best!